Ever been afraid to raise your hand in class? If you’re like us, you typically let it slide when you have trouble following a professor’s lecture because you don’t want to seem dumb. 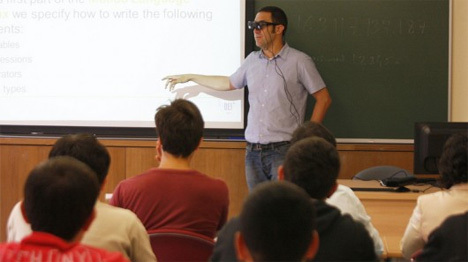 Well, fear no more, as scientists at Spain’s la Universidad Carlos III are working on a pair of glasses that teachers can wear to tell whether or not their students are following them. 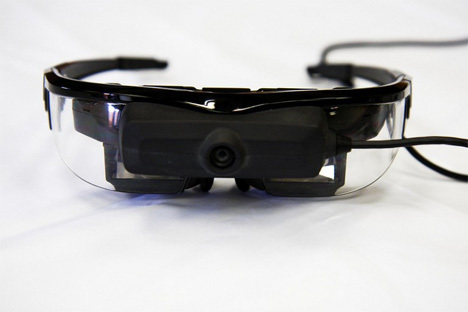 The glasses use augmented reality, a system that essentially places unreal things in your real-world environment. Through an app, students can select an icon that lets the professor know where the student is in terms of understanding the lecture. There are icons that tell the professor that the student is ‘getting it’, not ‘getting it’, to slow down, or that they know the answer to a question. The icons cutely hover above the students’ heads. In smaller classes, this can be extremely valuable. For larger, stadium-like lectures, the app produces a diagram that combines all of the students’ understanding levels. If nothing else, this gives students carte blanche to play with their smart phones.